I know this may be a task that is far from your to-do list. 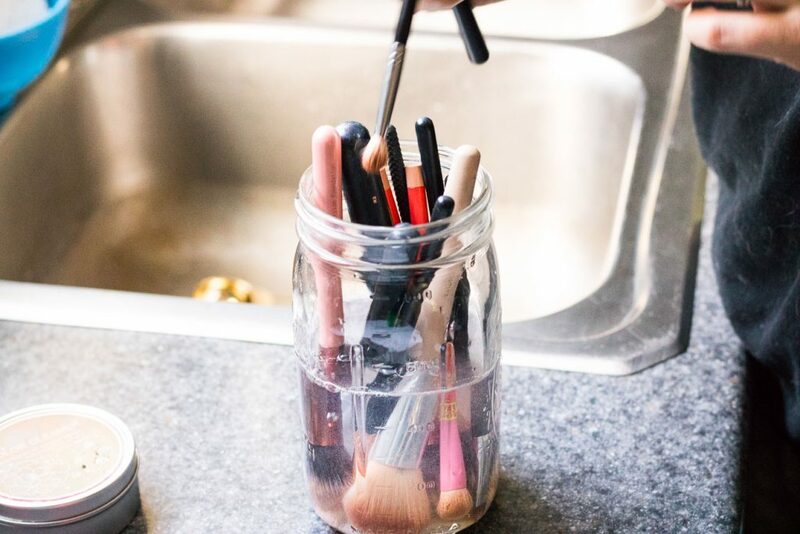 I am so guilty of going way too long in between washing my makeup brushes! However, let’s please not forget how important this is! 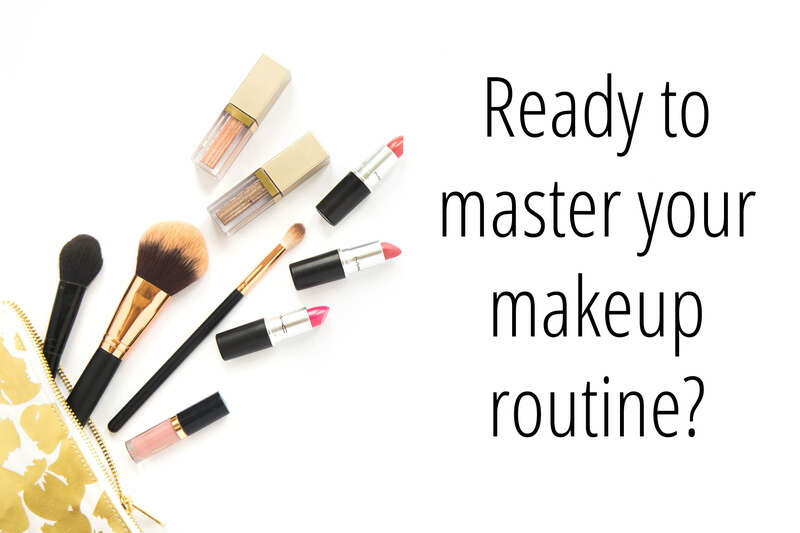 Your makeup brushes are prone to harboring nasty germs and bacteria that are terrible for your face. 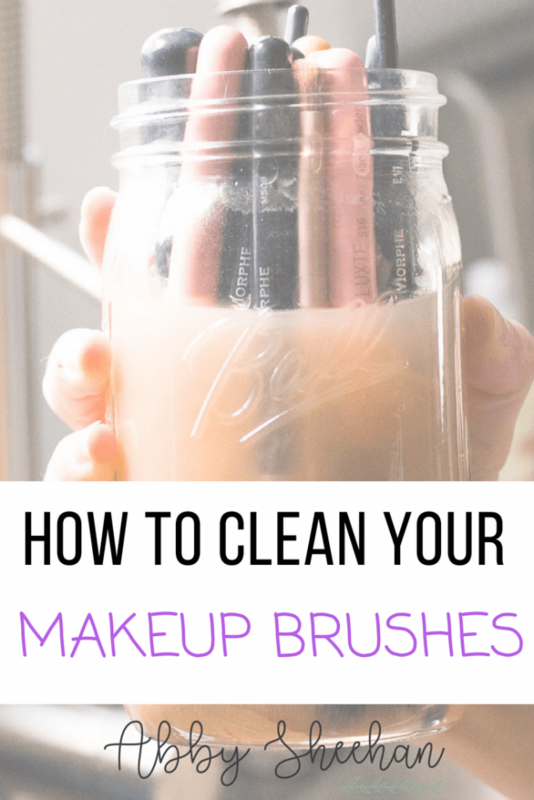 Nobody wants unnecessary breakouts; especially simply because you weren’t up on cleaning your brushes! Now I was totally one to fall for the incorrect notion that you need all these fancy, expensive brush cleaners in order to fully clean those brushes. WRONG! 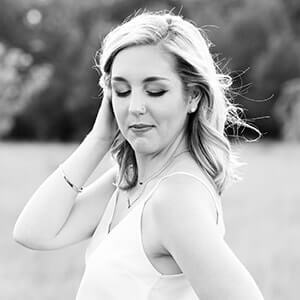 Let me tell you how I fully and completely get my makeup brushes squeaky clean every time: using all-natural ingredients you probably already have! And if you haven’t already, check out my post all about my FAVORITE makeup brushes and the ones you need in your collection! If you don’t want to use any essential oils, they definitely aren’t necessary. However, I find the Tea Tree makes such a difference in ensuring the brushes are thoroughly clean, and the Grapefruit leaves them smelling DIVINE! Highly recommend grabbing some! 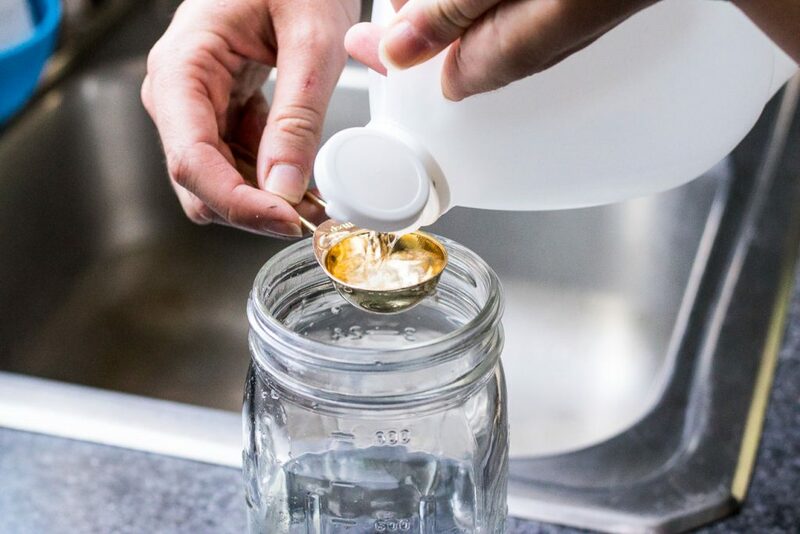 After 20 minutes, you should notice your water turning a murky brown color…that’s how you know it’s working! 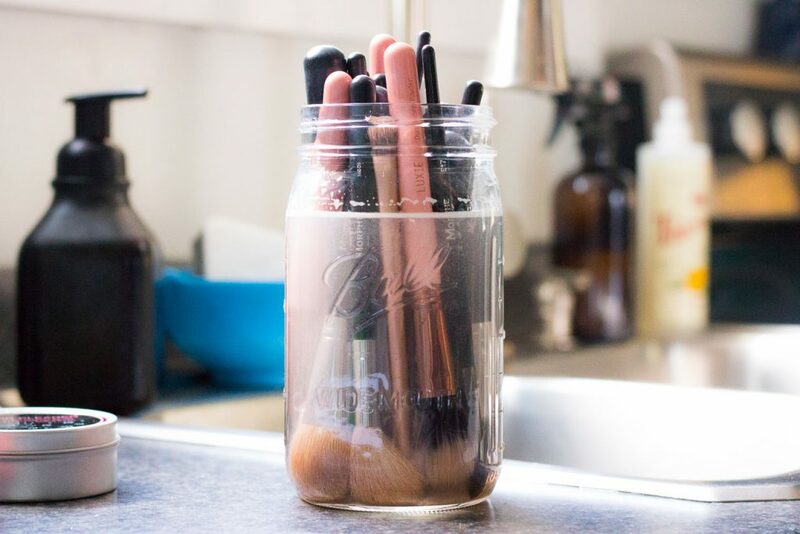 Carefully remove your brushes from the jar one by one. I do this right next to the sink, so it’s easy to transition to the next step. 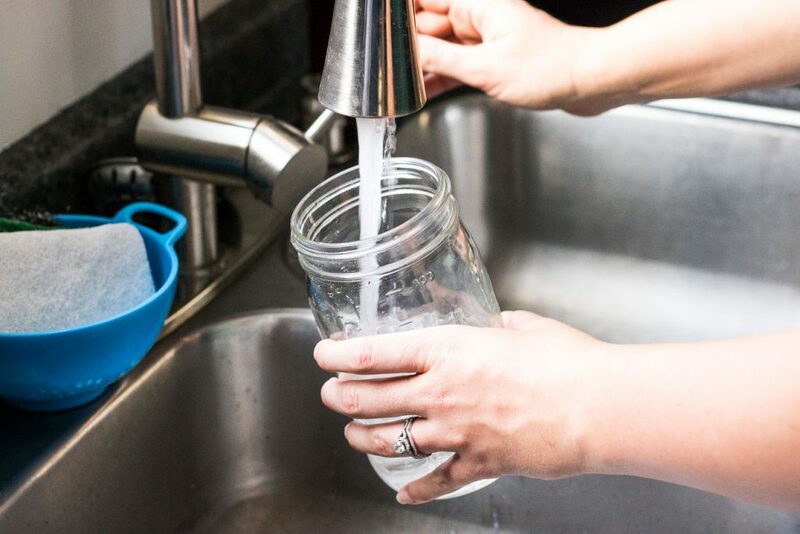 Rinse each brush under a tap until the water runs clear. For smaller brushes, I don’t bother using any extra tool for cleaning. Just rinse and done! 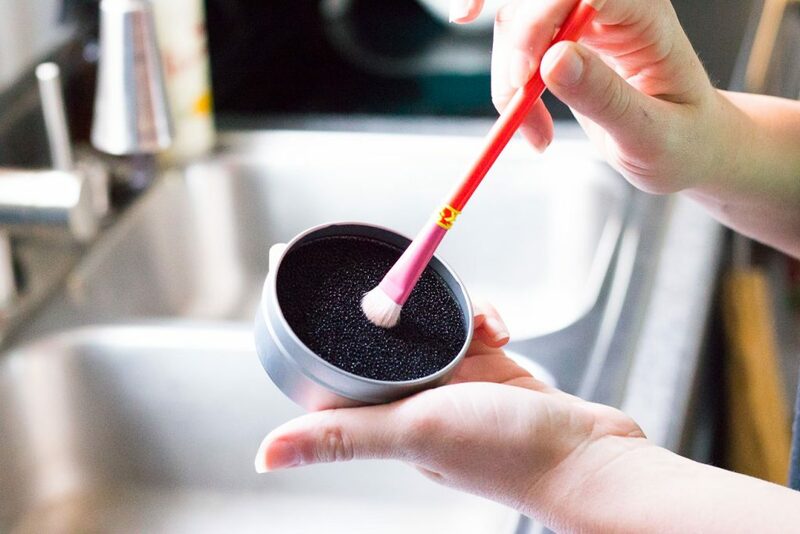 For larger and thicker brushes, use this amazing little tool: the brush egg, to really remove all the dirt and grime from every single brush hair. 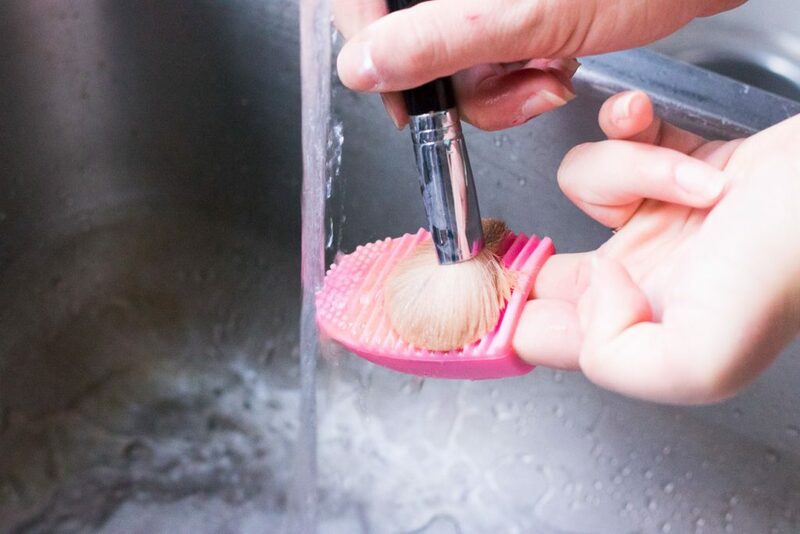 The brush egg separates each individual brush hair to allow all the makeup to easily wash away. 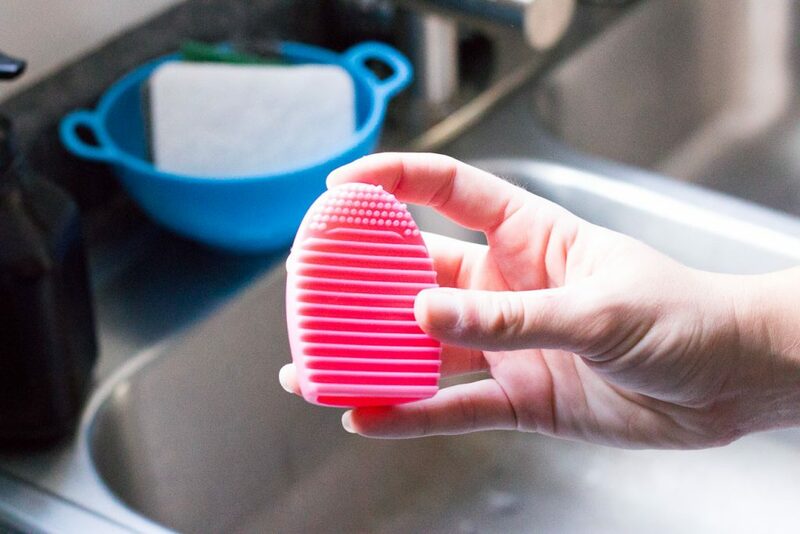 I find when I use my brush egg, I don’t need to wash more than once…ever! 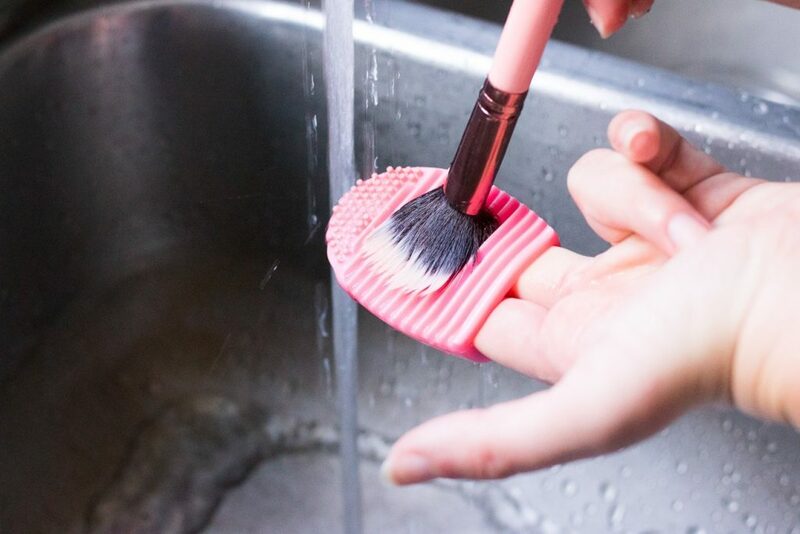 Before using the brush egg, I had to wash more than once to really get all the makeup out of each brush. Such a simple, cheap tool that is really a miracle worker! 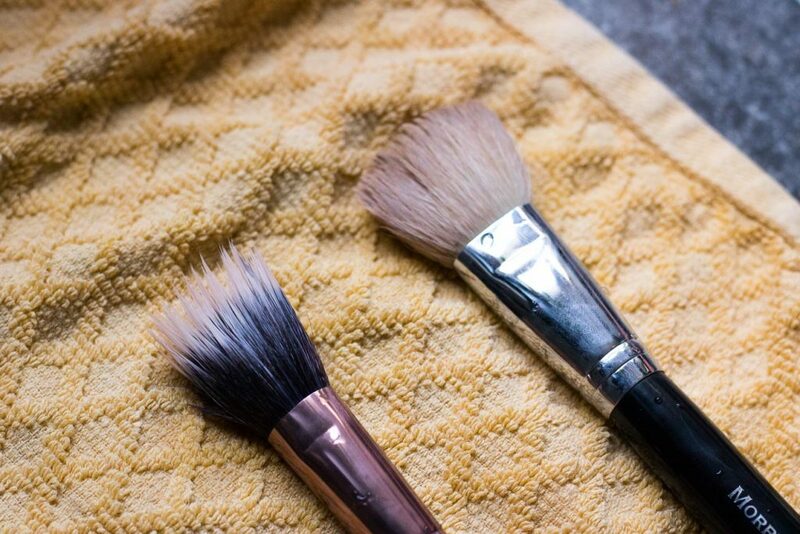 Finally, lay out all of your brushes to dry on a clean, flat towel. Make sure you shape your brushes with your hands to help them dry in the way you want them to without any stray hairs or misshapen brushes. Let them dry overnight, and voila! Beautiful, sparkling disinfected brushes! Obviously, none of us got the time to do the full brush-cleaning routine every day. Whenever I just need to quickly spot clean a brush that got a bit too dirty, I use this method! I also do this in-between makeup clients whenever doing makeup for a group of people at the same time. 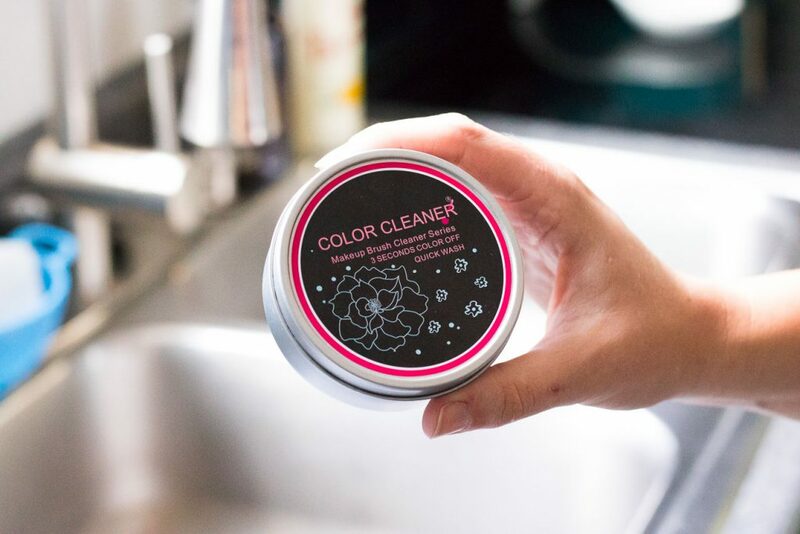 This way, I ensure I am using clean brushes with each client, without having to worry about wet brushes or taking forever to clean them in between! 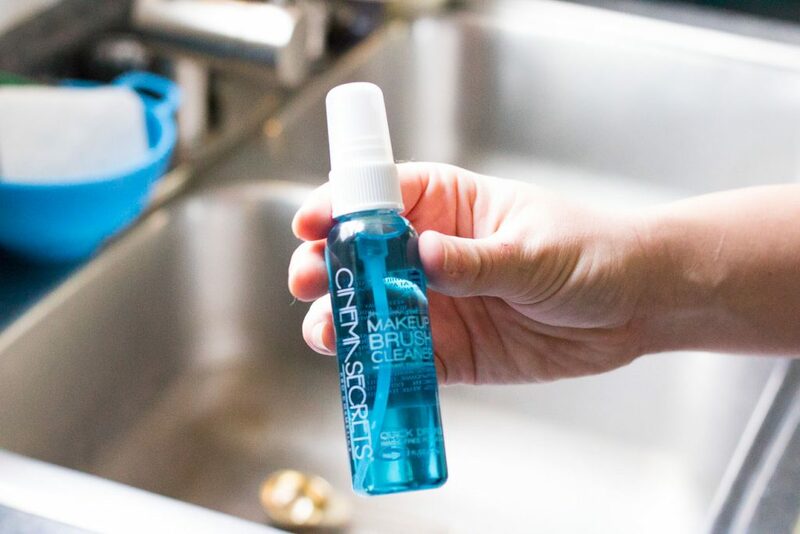 My favorite brush cleaner for quick cleans in the Cinema Secrets brush cleaner. I own the small spray bottle because I love being able to quickly spray it on multiple brushes at once. Cinema Secrets does have larger bottles (the largest for $40), but I find the smallest bottle at only $8 still lasts me forever, because I am only using a small amount for spot cleanings every once in a while. 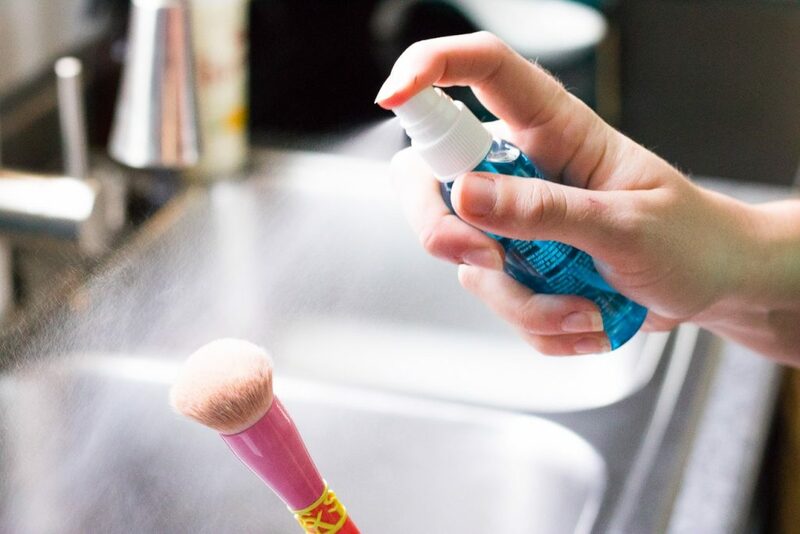 To quickly clean those brushes, simply spray the brush cleaner over a brush or two (about 3-4 sprays). 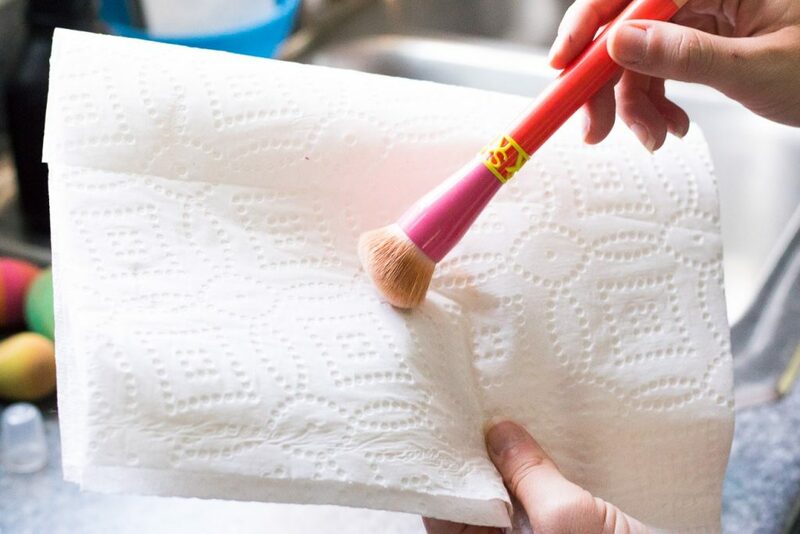 Then, rub the brush in circular motions on a paper towel (you should see some makeup coming off!) Finally, re-shape the brush with your hand, and leave out on another towel or paper towel to dry for 1-2 minutes. Boom! That was so easy! Ever get annoyed when doing a fancy eye look and needing to transition between colors? 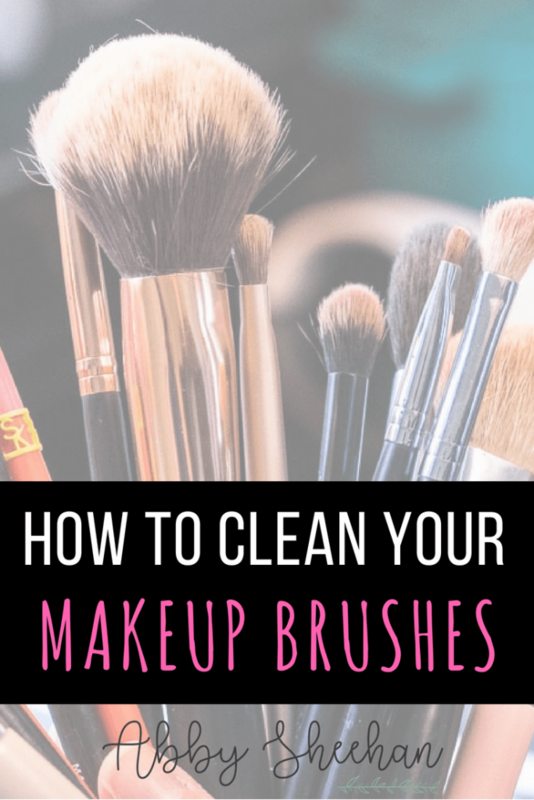 Unless you have a large arsenal of makeup brushes in front of you, it can be hard for your eyeshadows to not end up looking muddy by re-using the same eyeshadow brushes for multiple different colors. That’s why I love this bad boy! The Zodac Brush Color Removal sponge is a super simple, cheap tool that you can easily use to switch between colors with your eyeshadow brushes. When needing to switch to a different color, simply swirl your brush around the mesh/spongey top, and watch the color disappear of your brush! 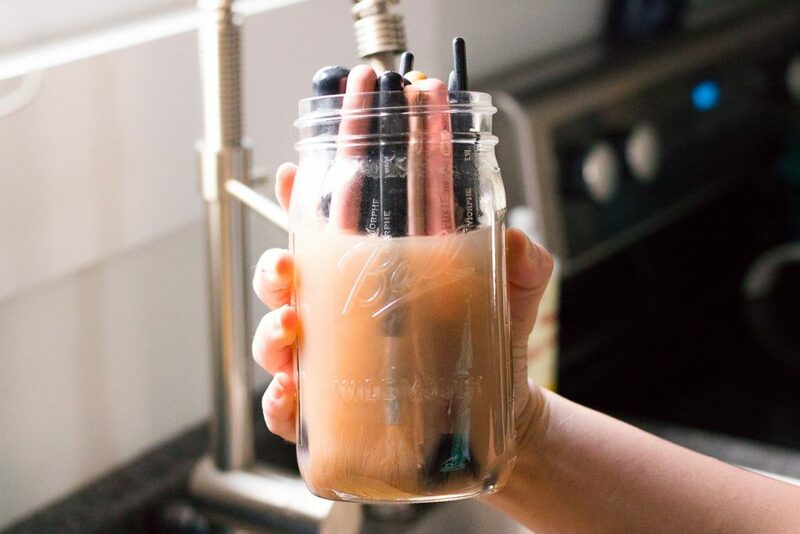 No, your brush won’t be fully clean or disinfected, but it’s ready to pick up a brand new color with no mixing of tones. This is also a perfect tool for me when I do makeup looks on clients! I can always ensure that my eyeshadow brushes are clean when transitioning between colors and that I’m not causing any muddiness by my brushes! There you have it! Three easy ways to clean your brushes: deep cleaning, spot cleaning, and transitioning between colors. 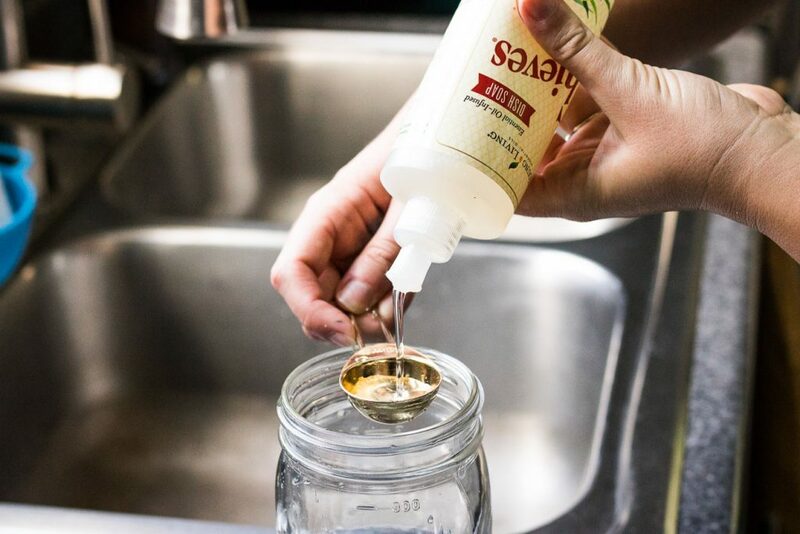 Don’t let companies fool you into buying a million fancy, expensive cleansers! Just stick with simple, basic, non-toxic products! And if you haven’t already, check out my post all about my favorite makeup brushes of ALL TIME! These are the ones you NEED in your collection, trust me. 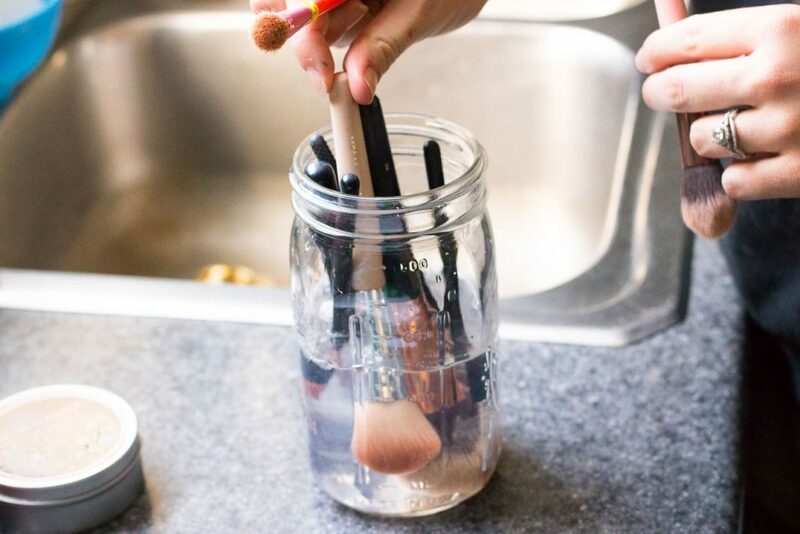 What are your favorite methods for cleaning your brushes? Let me know below! And you know what you need to do next? 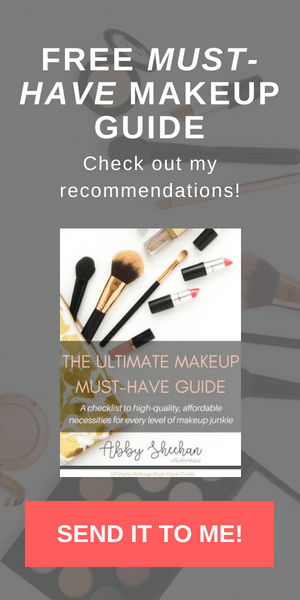 Sign up for your FREE “Ultimate Makeup Must Have Guide” by simply clicking the button below!